The figure from Bureau of Statistics suggests that the strong growth is driven primarily by exports of mining commodities. Half of the increase in GDP can be attributed to mining export growth, which is recovering from temporary supply disruptions at the end of last year. Government spending also contribute a solid one third to the economy’s growth. Despite the strong growth, wage or price pressure remains soft. Until wage growth and inflation start to pick up materially, the RBA (Reserve Bank of Australia) should keep the cash rate on hold. However, if the above-trend growth can be sustained this year, it should feed into wages and gradually lift wages growth and inflation. 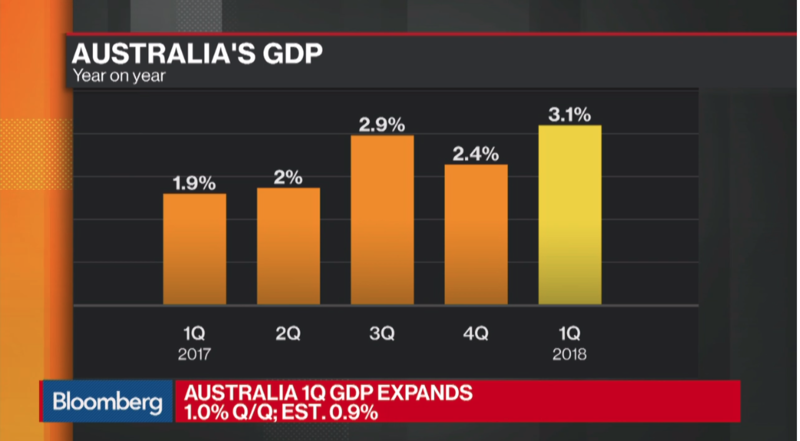 The good economic data from Australia may provide support to Australian Dollar in the short term. Below is an Australian cross pair which may benefit from today’s good news. 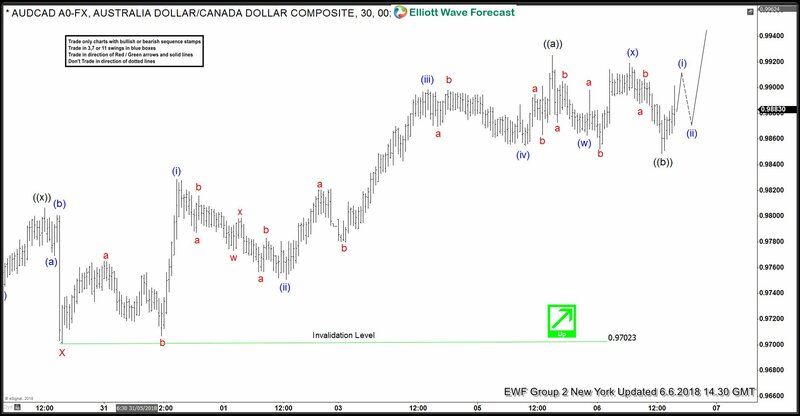 Cycle starting from 5.10.2018 low in AUDCAD shows a 5 swing bullish sequence favoring further upside as far as pullback stays above 0.9702. Pair has scope to reach 0.999 – 1.0057 area before ending cycle from 5.10 low and seeing profit taking and a 3 waves pullback. AUDCAD had a 3 swing pullback to 0.9848 which may have ended Minute wave ((b)). Pair should now break above Minute wave ((a)) at 0.9925 to confirm this view and to avoid a double correction in Minute wave ((b)). If pair turns lower and break below Minute wave ((b)), then it is doing a double correction (7 swing structure) and should open further downside, but as far as the dips stay above 0.9702 low, more upside is expected. 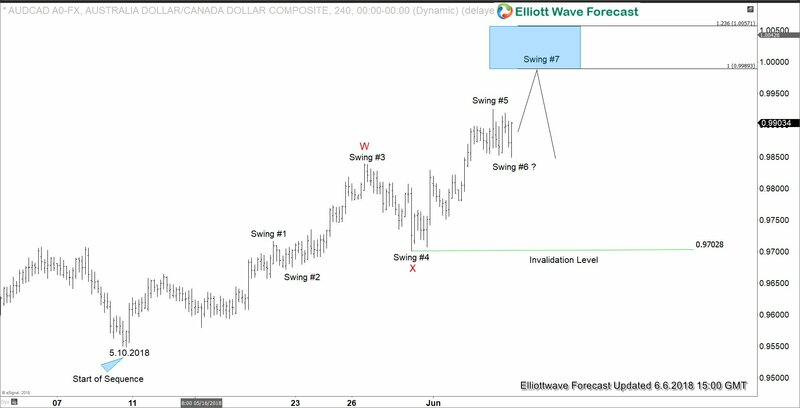 Get more analysis and trading idea, check our work and join Free 14 days Trial to get access to Elliott Wave Forecast for 78 instrument, Live Trading Room, Live Session, and more.